The US space agency confirmed fears that we may be heading towards an extraordinary event, which would see compasses point SOUTH if the magnetic poles shift.Climate researchers believe we are heading towards a reversal of the planet’s magnetic field, an event that has happened before and has been attributed to wiping out the Neanderthal species.Bruce Jakosky, MAVEN principal investigator at the University of Colorado, Boulder, said when the switch does take place, the Earth’s magnetic field which prevents the Sun’s dangerous radiation getting through, would be neutralised for around 200 years. He revealed the detail during an historic announcement about how Mars lost 99% of its atmosphere and its oceans that could have housed early life. Mr Jakosky explained that Mars had been blasted by solar winds, which had stripped it of its atmosphere, for billions of years since the beginnings of our solar system. During that time the Sun’s solar blasts are expected to strip away at our atmosphere as they did on Mars billions of years ago. But he thankfully added that 200 years would not be long enough for the Sun to significantly reduce the atmosphere for life to die out. Michael Myer, lead scientist for the NASA Mars mission, added that the Sun had been much more powerful in the early stages of the solar system when Mars had been continually blasted, and, even then the process had taken billions of years and still one per cent of its atmosphere remains.However, scientists admit that 200 years without a magnetic shield to defend against the Sun’s solar storms, which cause the amazing northern lights on earth as the rays hit the magnetic shield, would have implications for us.The magnetic shield is our first line of defence against harmful UV rays, and any thinning of the atmosphere could increase the risk from skin cancer. Without a magnetic field, or with a significantly reduced one it could destroy global communications facilities, power supplies, and even lead to fires and rioting on the streets, according to some researchers. There are even doom-mongers have predicted that a swap of the magnetic poles from north to south would shift the continents so fiercely it would trigger mass earthquakes, rapid climate change, extinctions and global destruction. Geologists have said the shift event has happened a number of times in Earth’s history – with the last one 780,000 years ago during the stone age. 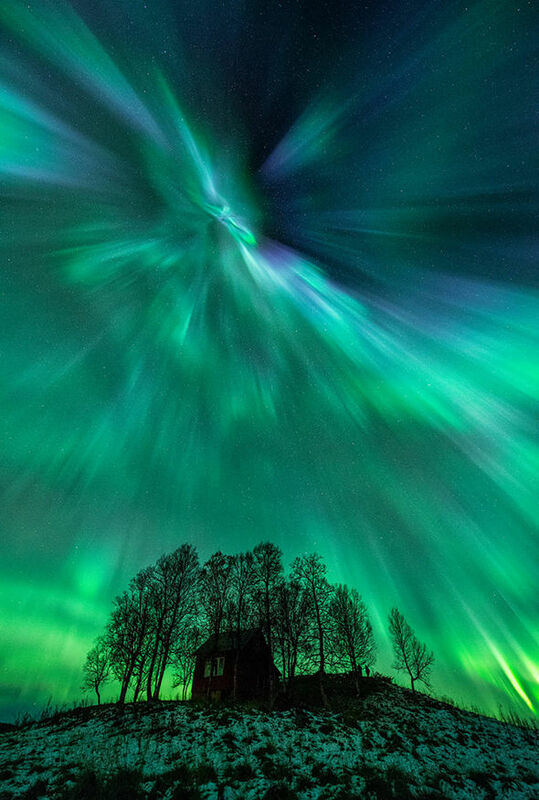 Earthquakes aside, there is a scientific belief that as we head towards a reversal – which could be less than 1,000 years away, Earth’s magnetic field will dangerously weaken leaving us at the mercy of solar storms when radiation and X-rays are ejected from the Sun towards our planet. This autumn www.express.co.uk reported how there are fears if there is another major solar flare as powerful as the last recorded strongest in Victorian times, trillions of pounds of damage could be done to the economy by power and communication blackouts. 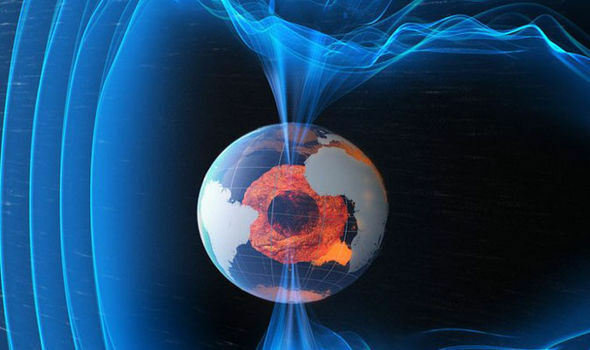 But it is scientifically accepted out magnetic field has significantly weaker over the past 160 years and it is believed this could mean we are heading for the next big polar reversal, which could happen any time between 1,000 to 10,000 years to finish.